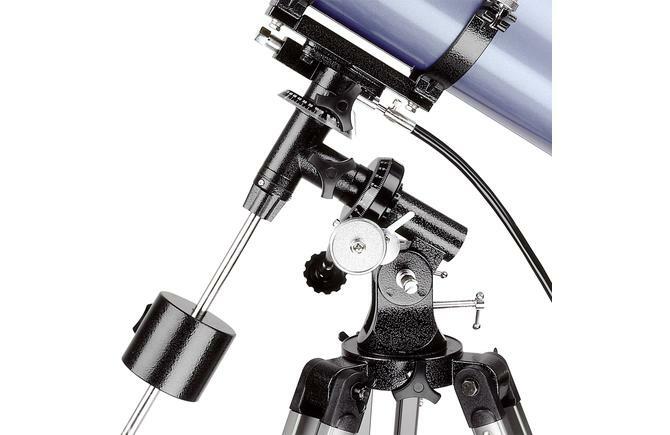 This quality equatorial mount is built with a larger mount head for greater stability and tracking precision. The convenient dual setting circles allow observers to locate the objects by setting the R.A. and Dec. coordinates. The heavier EQ2 mount rests firmly on an adjustable-height aluminum tripod with large wall-to-wall accessory tray and central stabilizer. As with the EQ1 mount, the EQ2 can also be fitted with a single axis motor drive for hands-free tracking.